So i have been thinking how useful the codecanyon site is and some of the script and tools on there, so i created a section for our members to share what they have! To post in this section Signup or Login to view earning guides for mobile apps and websites. So after a bit of thought i have decided to add a new sub forum to the Landers & Website Design Section..
Its so to make CPA page with wordpress, i guess there's many things you can do with wordpress and you don't need to be code savy to use it! its also great for Adsense ect.. Please feel free to add any themes you have and feel good to share. So i was a little bored lastnight and added some icons to the forums..
We have added some new bonus items to the shop to make your profile look a little more snazzy!! Shop items show next to your name in a post and also in your profile! You can even send items to friends! Check out the shop by Signup or Login to view earning guides for mobile apps and websites. or By clicking on "Shop" in the top right menu. So last day or so i have been working on a new theme thats bit more up to date and easier too understand. Be sure to leave a comment below let us know what you think! Facing issues viewing images on CPAHero? I am sure you all are already aware of that CPAHero is going through an upgradations phase now. So there are some issues you may face while browsing the forum. We are working on resolving the problems. I'd request you to notify us whenever you encounter any difficulty or error. >> Go here: Signup or Login to view earning guides for mobile apps and websites. We have updated the forum to help the speed of the site, in doing this is has caused a lot of issues that need to be fixed, if you find any issues please feel free to let us know so we can inprove them. The issue is resolved now and the email server is in full-function mode. Thanks to @peacekeeper for taking necessary actions from backend. Please report here if you are still facing any issue. Benefits of Referring a Friend : Did You Know! Did you know, you get lots of benefits when you Refer anyone on CPAHero? 1. 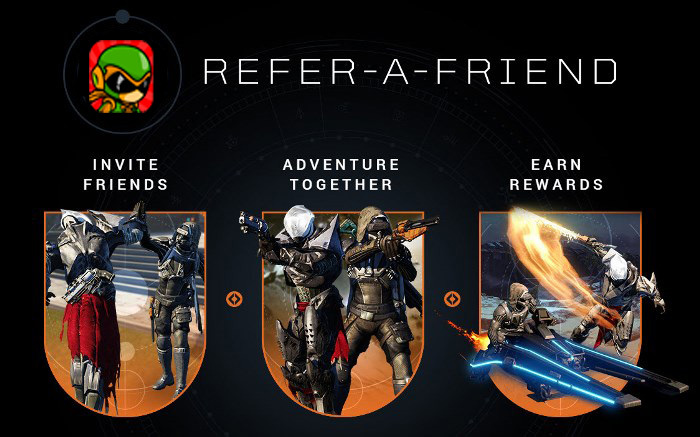 You get 100 Points per confirmed Referral. 2. You get 5 Points each time your Referral replies or opens a thread. 4. You get awards for different referral gaining activities like... YouTube Promoter, Skype Promoter, Lightning Superpower, Facebook Promoter etc. Find more details here : Signup or Login to view earning guides for mobile apps and websites. To claim the award, request here : Signup or Login to view earning guides for mobile apps and websites. So, what are you waiting for!! Ask your Friends to Join with your Referral Link. --> Go to UserCP : Signup or Login to view earning guides for mobile apps and websites. --> Your referral code is just below your Referral Banner. It looks like: Signup or Login to view earning guides for mobile apps and websites. WARNING: Do not try to Fake the system... You may Loose Your Account.